Sometimes after a long day of jamming you look at your gear and think, “Wait a minute, why do I even need a pedal? 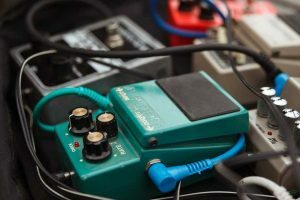 I can get distortion directly through my amp.” Yes, you can get a great overdrive tone from a guitar amp, but that’s no reason to dismiss your pedalboard. 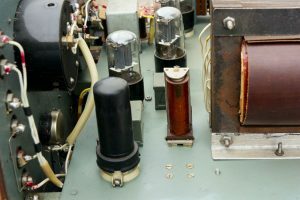 Quite a few guitarists like to set their amp for a clean tone. They then have several pedals to choose from to produce different tonal characteristics for their music. Each brand and model of distortion pedal comes with its own flavor, so to speak. 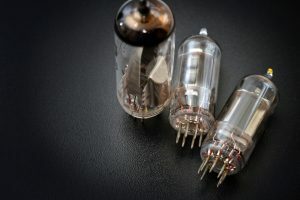 So you can have one that reminds you of late 1970s rock, another for 1980s glam rock, and still another one to reproduce the grunge sound of the 1990s. This is a very practical setup, as you can just kick on the pedal of your choice to produce the sound you want to make. 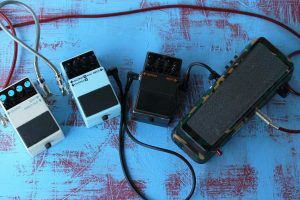 It’s very simple and straightforward, and you can also have lots of fun experimenting with your distortion pedals to get the right flavor out of them. However, it does have its set of problems. One issue is that the same EQ settings are shared for the clean channel and the overdrive or distortion. This isn’t really that big of a deal when you’re using a pedal with its own set of equalizer controls. 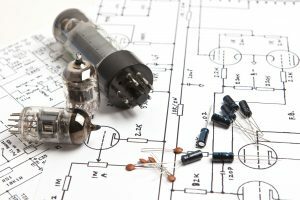 However, most popular distortion and overdrive pedals don’t really have that same equalizer versatility you get from your amps. You may only have volume, gain, and tone knobs for your pedal. This means that you’re somewhat limited in your ability to alternate between clean and dirty. 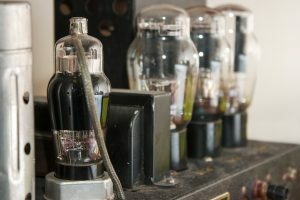 Still, you won’t have to tote an all-tube amp to your gigs, and that’s really a relief. Also, you can shape the tone of your guitar with the pedal before it hits the amp. This means you can get really nice fuzz at just about any volume. 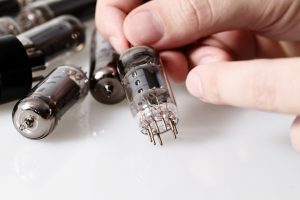 For many guitar enthusiasts, there’s really nothing like having an all-tube amp cranked up all the way to its sweet spot. Quite a few fans out there are adamant that this is the only way to go if you’re going for distortion. You get less compression when you use a non-master volume amp. 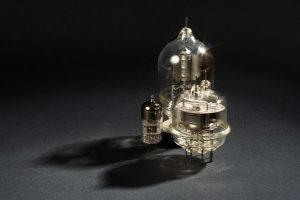 It may get a bit squishy, admittedly, but it doesn’t compress the whole signal. So with a cranked amp, you really get more dynamics. 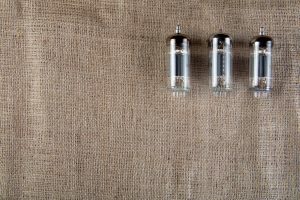 When you push these non-master volume amps, you generally have a wider frequency span. 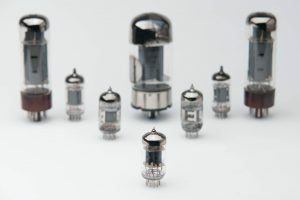 Crank up the volume, and you’ll see and hear that the high end is still bright and shimmering, while the low end remains quite earthy. With pedals you tend to get a narrower frequency range, and this is most noticeable at the low end. Just about every pedal seems to cut a little bit off the lower end frequencies. 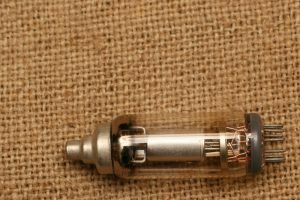 That’s why so many guitar players go with the tube amp, as this will really rattle your insides with the low-end frequencies. 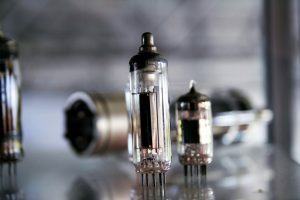 There’s also the almost mystical relationship between guitar and amp when you’ve got a primed amp to go with your guitar. It’s like they merge into a single instrument. 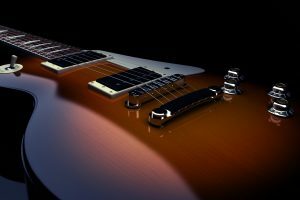 Since the amp doesn’t cut down on the frequency range, you’re able to go crazy with your guitar pickups. You have the whole range of grit to work with. The compression is more gradual, so the clipping of the tone is much more natural and less harsh. So of course there are challenges to this approach. The primary cause of concern is portability, as often you’re required to tote a weighty amp to a gig instead of a more practical pedal. That’s a small price to pay for a fuller and more musical distortion and overdrive, but then it can get a bit annoying in the long run, especially if you have a small car. So which method is better for you? Obviously it depends a lot on your own particular preferences and circumstances, and in fact, the only real way you can find out is to actually test both methods. That lets you see for yourself which method of distortion works best for you. Ultimately, the actual testing of both methods is part of the fun. You’re supposed to discover for yourself the joys of using a pedal and using an amp for distortion. You’re supposed to experience the problems with each so you know what you can live with and what you’d rather not go through. So stop reading and start playing — try both methods and see for yourself.